Made in France, the Tea Kettle is an exceptional addition to your kitchen. The sleek design fits with any kitchen and works easily on all stovetops. 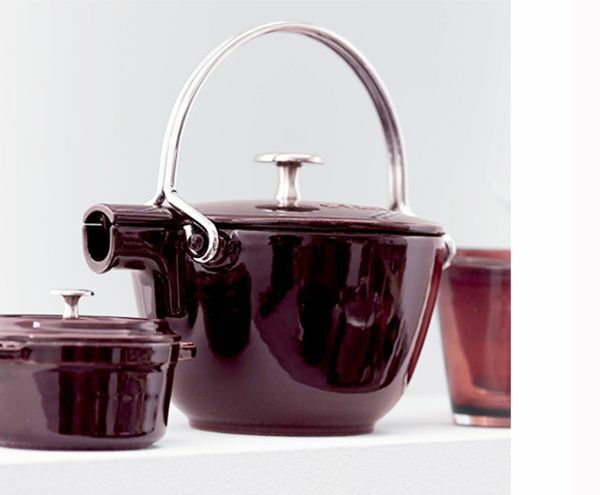 Each piece is one of a kind, with Staub’s brilliantly hued glaze on the exterior. The kettle doubles as your tea pot, with the included hanging tea ball. Just boil your water, fill the tea ball with loose tea, attach to the hanger on the underside of the lid, and brew your tea. Once it is brewed, remove the tea ball and pour directly from the kettle.This elegant design can also be used as a small saucepan with pour spout. 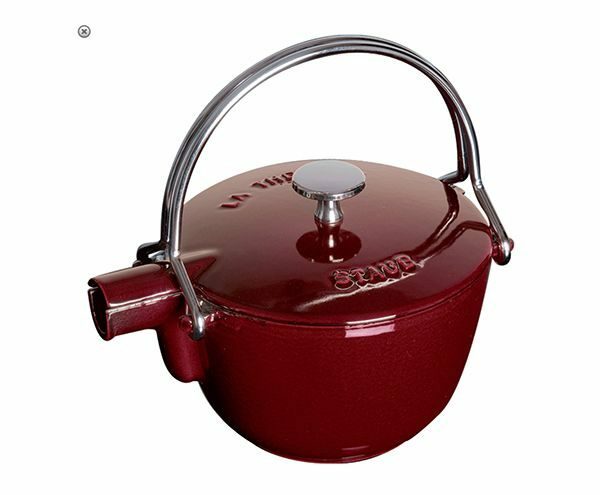 We have a broad assortment of Staub's beautifully enamelled cast iron tea kettles, all made in France in a range of colors. For centuries, cooks have taken advantage of the natural heat retention and redistribution properties of cast iron. Its black matte enamel coatings make it indestructible and highly chip resistant and also keep it from discoloring. The cast iron cookware retains the heat beautifully, keeping the dish warm long after it's been taken out of the oven or off the stove. Staub's attractive appearance make it possible for the dish to go straight from the stove to the table.In addition, the black matte enamel inside has a culinary advantage for better braising, roasting & caramelizing. 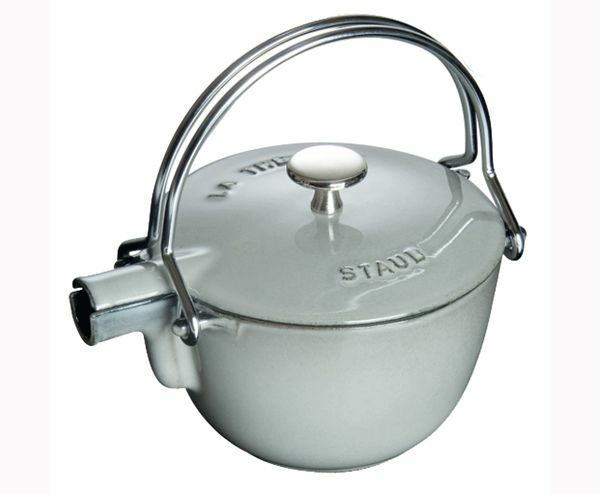 All Staub enamelled cast iron is made in France. 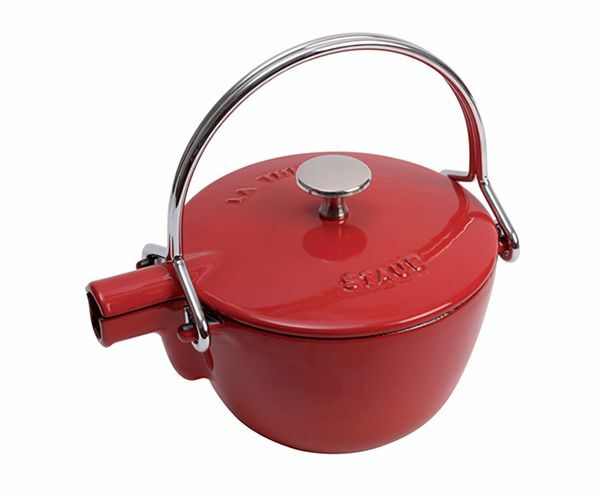 New to Staub is fine ceramic bakeware designed to coordinate with the cast iron line. We have lovingly and thoroughly renovated the historic Nieman Building, a magnificent old OTR structure at 1824 Elm Street, adjoining the Findlay Market North Parking lot. 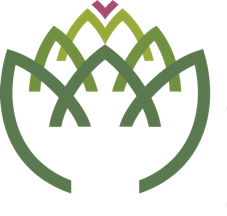 ©2019 Artichoke OTR. All Rights Reserved.